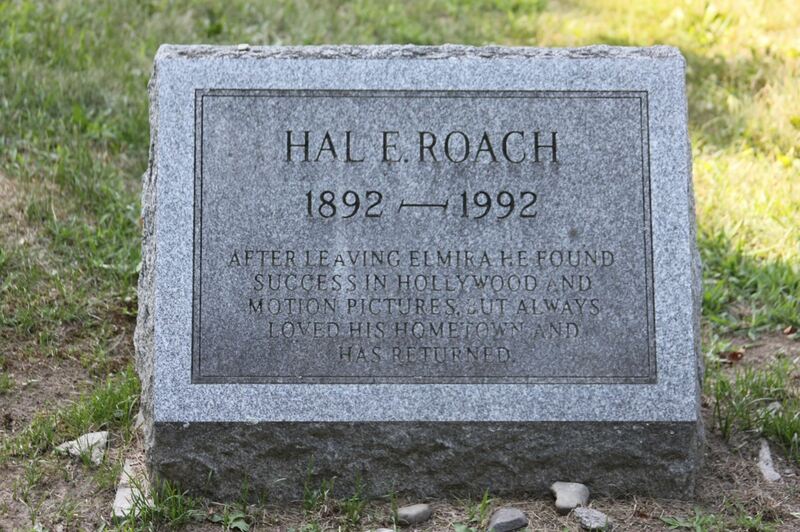 Hal Roach was born in Elmira, New York, the grandson of Irish immigrants. A presentation by the great American humorist Mark Twain impressed Roach as a young grade school student. After an adventurous youth that took him to Alaska, Hal Roach arrived in Hollywood, California in 1912 and began working as an extra in silent films. Upon coming into an inheritance, he began producing short comedies in 1915 with his friend Harold Lloyd, who portrayed a character known as Lonesome Luke. In September 1916, Roach married actress Marguerite Nichols. They had two children, Hal Jr. (June 15, 1918 – March 29, 1972) and Margaret M. Roach (March 15, 1921 – November 22, 1964). 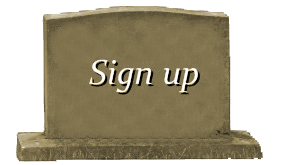 After 26 years of marriage, Marguerite died in 1940. 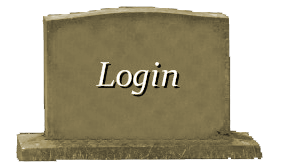 Roach married a second time on September 1, 1942, to Lucille Prin (January 20, 1913 – April 4, 1981), a Los Angeles secretary. They were married at the on-base home of Colonel Franklin C. Wolfe and his wife at Wright-Patterson Airfield in Dayton, Ohio where Roach was stationed at the time while serving as a major in the US Army Air Corps. They had four children, Elizabeth Carson Roach (December 26, 1945 – September 5, 1946), Maria May Roach (April 14, 1947), Jeanne Alice Roach (October 7, 1949), and Kathleen Bridget Roach (January 29, 1951). Unable to expand his studios in downtown Los Angeles because of zoning, Roach purchased what became the Hal Roach Studios from Harry Culver in Culver City, California. During the 1920s and 1930s, he employed Lloyd (his top money-maker until his departure in 1923), Will Rogers, Max Davidson, the Our Gang kids, Charley Chase, Harry Langdon, Thelma Todd, ZaSu Pitts, Patsy Kelly and, most famously, Laurel and Hardy. During the 1920s Roach’s biggest rival was producer Mack Sennett. In 1925, Roach hired away Sennett’s supervising director, F. Richard Jones. Roach released his films through Pathé Exchange until 1927, when he went to Metro-Goldwyn-Mayer. He converted his silent movie studio to sound in late 1928 and began releasing talking shorts in early 1929. In the days before dubbing, foreign language versions of the Roach comedies were created by reshooting each film in the Spanish, French, and sometimes Italian and German languages. Laurel & Hardy, Charley Chase, and the Our Gang kids (some of whom had barely begun school) were required to recite the foreign dialogue phonetically, often working from blackboards hidden off camera. In 1931, with the release of the Laurel & Hardy film Pardon Us, Roach began producing occasional full-length features alongside the short product. Short subjects became less profitable and were phased out by 1936, save for Our Gang. In 1937, Roach conceived a joint business venture partnering with Vittorio Mussolini, son of fascist Italian dictator Benito Mussolini to form a production company called “R.A.M” (Roach and Mussolini). This proposed business alliance with Mussolini caused MGM to intervene and force Roach to pay his way out of the venture. This embarrassment, coupled with the underperformance of much of Roach’s new feature product (save for Laurel & Hardy films and the odd non-L&H hit such as 1937’s Topper), led to the end of Roach’s relationship with MGM. In May 1938, Roach ended his distribution contract with MGM, selling them the production rights to, and actors’ contracts for, Our Gang in the process, and signed with United Artists. From 1937 to 1940, Roach concentrated on producing glossy features, abandoning low comedy almost completely. Most of his new films were either sophisticated farces (like Topper and The Housekeeper’s Daughter) or rugged action fare (like Captain Fury and One Million B.C.). Roach’s one venture into heavy drama was the acclaimed Of Mice and Men. The Laurel and Hardy comedies, once the Roach studio’s biggest drawing cards, were now the studio’s least important product and were phased out altogether in 1940. In 1940, Roach experimented with medium-length featurettes, running 40 to 50 minutes each. He contended that these “streamliners”, as he called them, would be useful in double-feature situations where the main attraction was a longer-length epic. Exhibitors agreed with him, and used Roach’s mini-features to balance top-heavy double bills. United Artists continued to release Roach’s streamliners through 1943. By this time Roach no longer had a resident company of comedy stars, and cast his films with familiar featured players (William Tracy and Joe Sawyer, Johnny Downs, Jean Porter, Frank Faylen, William Bendix, George E. Stone, etc.). 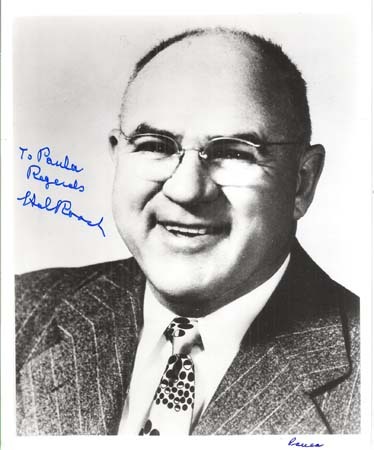 Hal Roach, Sr. was called to active military duty in the Signal Corps in June 1942, at age 50, and the studio output he oversaw in uniform was converted from entertainment featurettes to military training films. The studios were leased to the U.S. Army Air Forces, and the First Motion Picture Unit made 400 training, morale and propaganda films at “Fort Roach”. Members of the unit included Ronald W. Reagan and Alan Ladd. After the war the government returned the studio to Roach, with millions of dollars of improvements. In 1946, Hal Roach resumed motion picture production, with former Harold Lloyd co-star Bebe Daniels as an associate producer. Roach was the first Hollywood producer to go to an all-color production schedule, making four streamliners in Cinecolor, although the increased production costs did not result in increased revenue. In 1948, with his studio deeply in debt, Roach re-established his studio for television production, with Hal Roach, Jr., producing shows such as The Stu Erwin Show, Steve Donovan, Western Marshal, Racket Squad, The Public Defender, The Gale Storm Show, and My Little Margie, and independent producers leasing the facilities for such programs as Amos ‘n’ Andy, The Life of Riley, and The Abbott and Costello Show. By 1951, the studio was producing 1,500 hours of television programs a year, nearly three times Hollywood’s annual output of feature movies. The visionary Roach also recognized the value of his film library. Beginning in 1943, he licensed revivals of his sound-era productions for theatrical and home-movie distribution. Roach’s films were also early arrivals on television. His Laurel and Hardy comedies were a smashing success in television syndication. He became one of the first significant film producers to venture into television. In 1955, Roach sold his interests in the production company to his son, Hal Roach, Jr., and retired from active production. Unfortunately, the younger Roach lacked much of his father’s business acumen, and soon lost the studio to creditors. It was finally shut down in 1961. For two more decades Roach Sr. occasionally worked as a consultant on projects related to his past work. Extremely vigorous into an advanced age, Roach contemplated a comedy comeback at 96. In 1984, 92-year-old Roach was presented with an honorary Academy Award. Former Our Gang members Jackie Cooper and George “Spanky” McFarland made the presentation to a flattered Roach, with McFarland thanking the producer for hiring him 53 years prior. He was a guest on “The Tonight Show with Jay Leno” on 21st January 1992, just days after his 100th birthday, where he recounted experiences with such stars as Stan Laurel and Jean Harlow; he even did a brief, energetic demonstration of a hula dance. On March 30, 1992, Roach appeared at the 64th Academy Awards ceremony, hosted by Billy Crystal. When Mr. Roach rose from the audience for a standing ovation, he decided to give a speech without a microphone, causing Crystal to quip “I think that’s appropriate because Mr. Roach started in silent films.” At the 42nd Berlin International Film Festival, Roach was given the honorary award of the Berlinale Camera. Hal Roach died in his home in Bel Air, California, from pneumonia on November 2, 1992, two months short of his 101st birthday. He was married twice, and had six children, eight grandchildren and a number of great-grandchildren. Roach outlived three of his children by more than twenty years: Hal Jr. (died in 1972), Margaret (died in 1964) and Elizabeth (died in 1946). 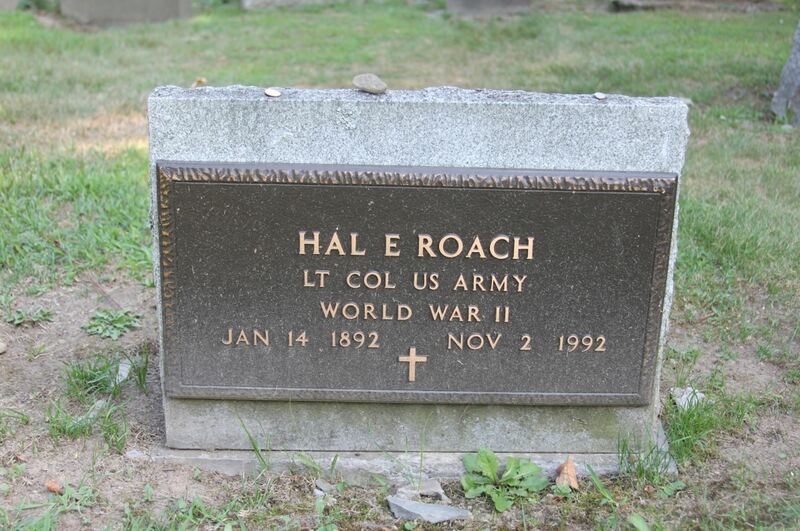 Roach is buried in Woodlawn Cemetery in Elmira, New York, where he grew up. Roach outlived many of the Our Gang children who starred in his pictures.